I love to get my Clean Eating Magazine in the mailbox every month…I am totally guilty of immediately opening the magazine to the last page (seriously, every time.) which is cleverly titled “happy ending”…where there is always a “clean” dessert recipe. Clean Eating Magazine has beautiful recipes that are easily adaptable to most styles of eating be it gluten, grain, dairy or refined sugar-free. The “happy ending” in this issue uses spelt flour, peanut butter and organic evaporated cane juice which I substituted coconut flour, Sunbutter and a combination of coconut nectar and palm sugar to make it grain, legume and refined sugar-free. 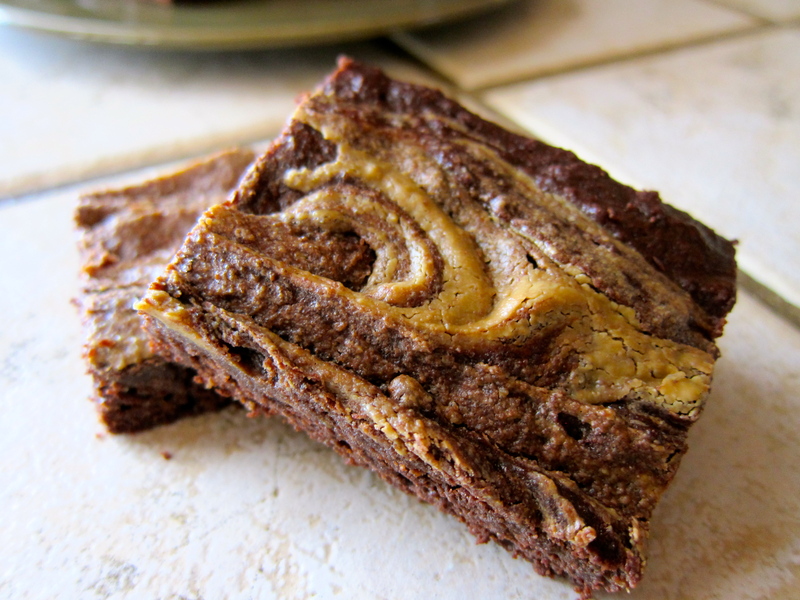 Grain free, refined sugar-free brownies…sounds less than decadent, right? 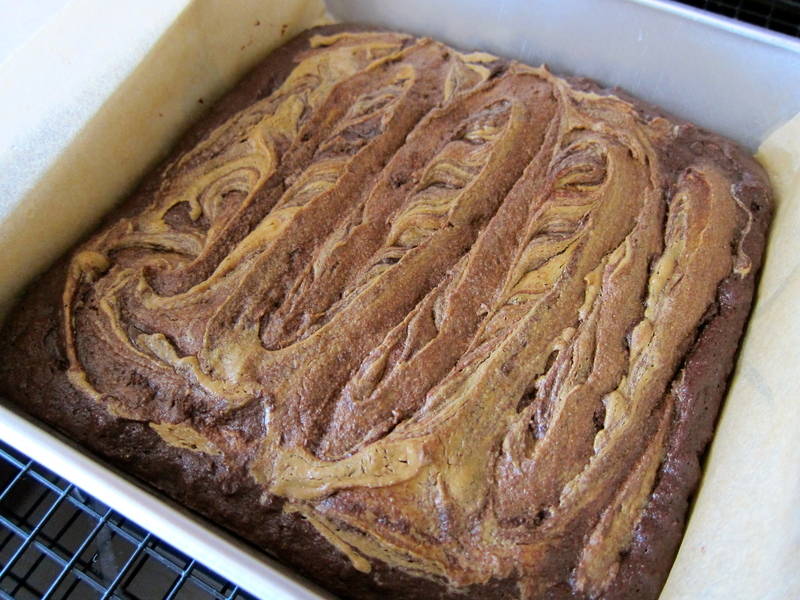 Not so with this recipe that I adapted from the Peanut Butter Brownie recipe featured in this months (October 2012) Clean Eating Magazine. 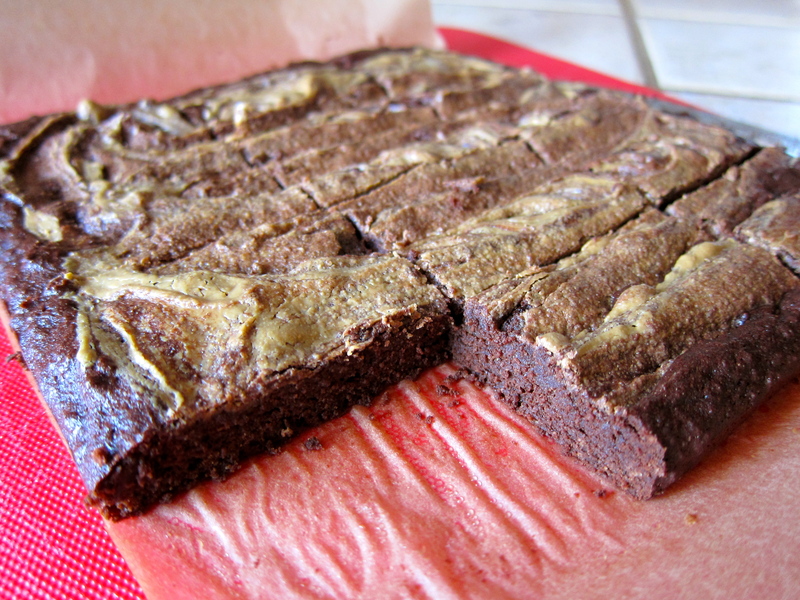 These brownies have a “gooey” texture…not too dense, eggy or cake-like. 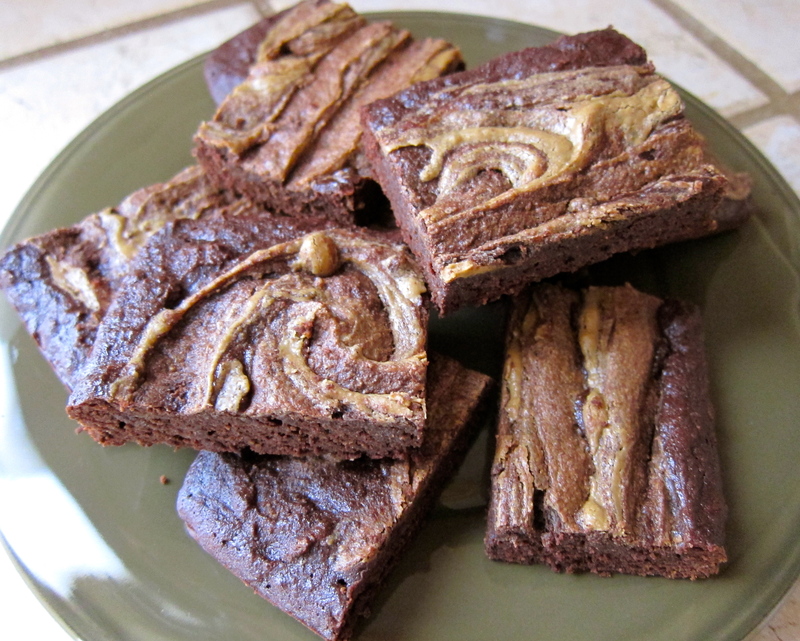 The generous swirl of sunflower seed butter adds an extra layer of decadence to these “clean” dark chocolate brownies. Enjoy! A decadent and guilt-free happy ending to any meal! Preheat oven to 350 degrees F. Lightly grease an 8-inch square baking dish with coconut oil and line with parchment paper leaving 2 inches hanging over 2 opposing sides. Stir in eggs, coconut nectar, palm sugar and vanilla until combined. Add flour and cacao powder and stir until just incorporated and no white streaks remain; do not over-mix. Pour into baking dish, spreading evenly with a rubber spatula. Working in small dollops (about 1/2 Tbsp. each), dot the surface of batter with Sunbutter. With a butter knife or spatula, swirl Sunbutter through batter. Bake until toothpick comes out with only a few crumbs when inserted in center, 15 to 18 minutes. Transfer to a wire rack and let cool completely, about 20 minutes. 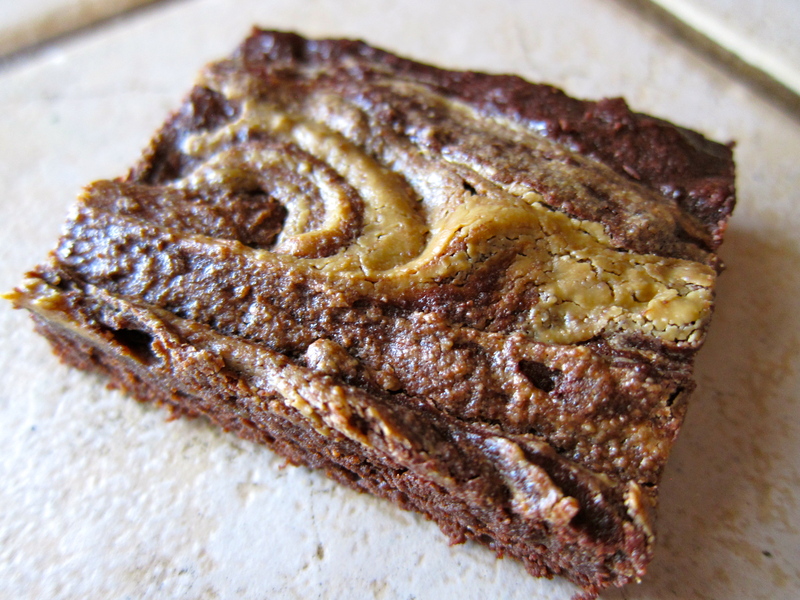 Remove brownies from dish by lifting parchment paper. Slice into 12 pieces. Make in a 12 cup muffin pan, be sure to use paper liners. « Chicken Wings…Spicy, Savory and Sweet! 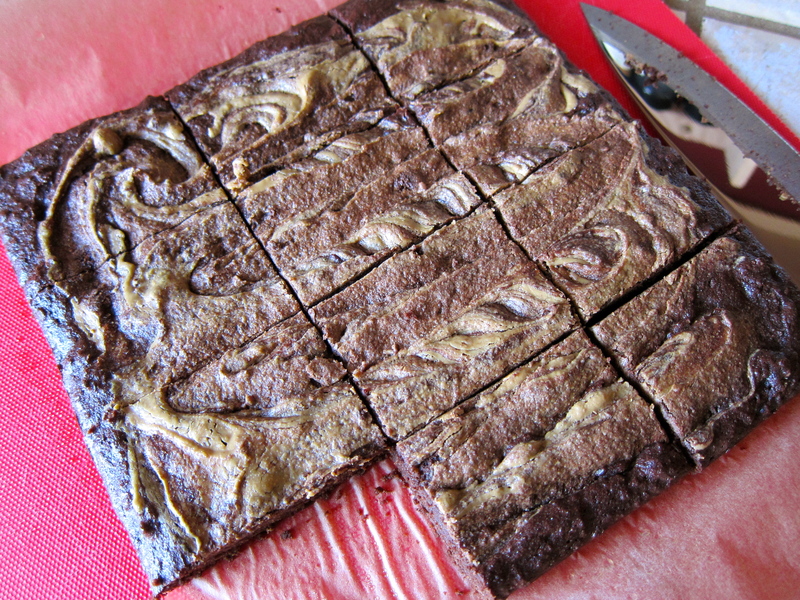 Absolutely gorgeous looking brownies – very nice indeed. What is coconut nectar? Is there something else I could use? Coconut Nectar is a liquid form of coconut sugar or sap. Yes, you could substitute honey, maple syrup or agave….whichever sweetener you prefer. Wow, do those ever look yummy! I would love it if you visited my new Gluten-Free Monday party at OneCreativeMommy.com and linked up this and any other idea you would like to share. I hope to see you there. Those look wonderful! I bet I could find a way to sub the sugars out for a low carb version! Those look wonderful…I bet I could make them with a low carb sweetener like erythritol and they’d be great! Yes! Carolyn I’m sure that they would be great with erythritol…I’m still learning how to sub it in. It’s funny as I was reading your post today I had to laugh out loud when you said that using something that sounds like a chemical sweetener kinda freaked you out at first and truthfully that’s my biggest hold up!!! Sugar wreaks havoc on my body but I am having trouble getting past thinking that erythritol isn’t a chemical!!!! It’s a process! Just found your blog and it’s great! Love that you use such a wide range of foods. These brownies look fabulous! Mmmmm. 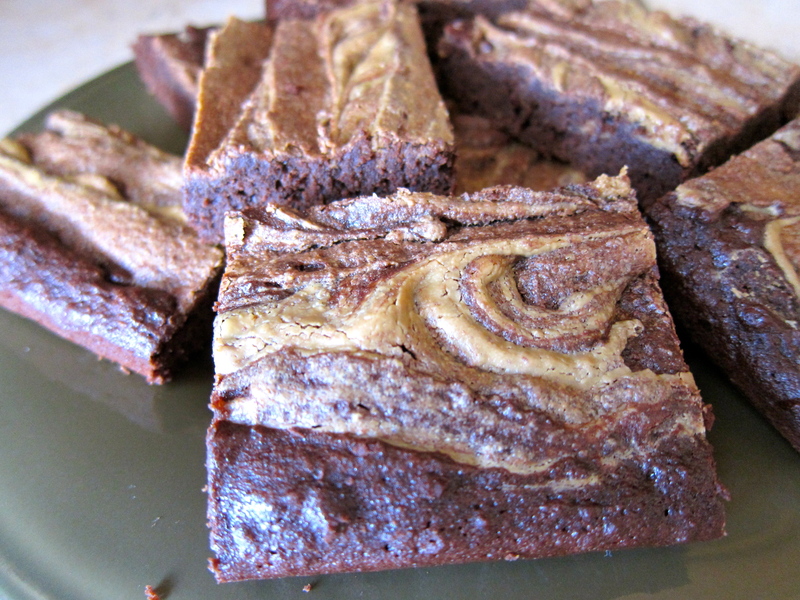 Yum, featuring these this week on AFW, also pinned, and shared on my fb page!